This is definitely one of the best vacation package deal out there at this moment, so if you had plans to go on a Caribbean beach vacation in 2017, you should take a good look at everything it includes. If you like this offer and one of the dates also fit your ideas, you should not waste a lot of time thinking about it, offer might be gone soon. 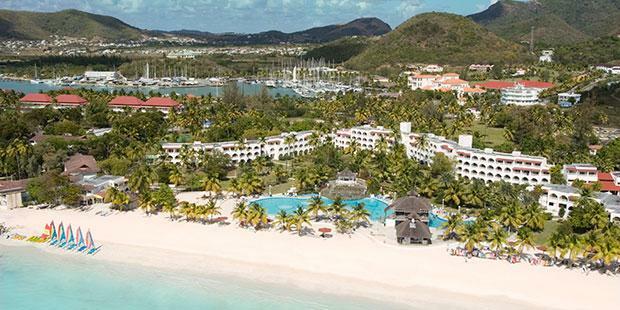 Apart from a round-trip airfare from New York to Antigua, this package also includes 5 nights at the all-inclusive Jolly Beach Resort and Spa as well as taxes. The all-inclusive services of this hotel include all our meals in five restaurants, all your drinks in five bars, water polo and other non motorized water sports, kids club with many activities, access to the fitness room, land sports, free parking – if you come with your own car and more. Jolly Beach Resort and Spa has a nice private beach as well, where you can hang out, walk or tan all day long if you like. Even if this is a really good offer, there might be other Antigua vacation packages out there that suit your needs better. You know the drill, pick a couple of travel sites, add your departure city, select travel dates and then click the button to compare prices.